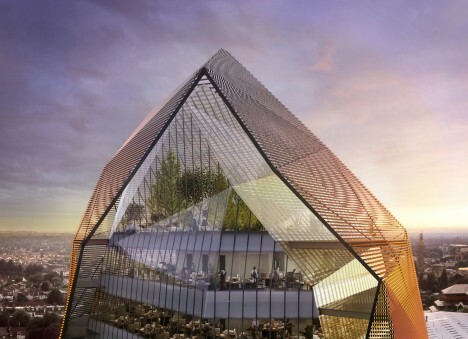 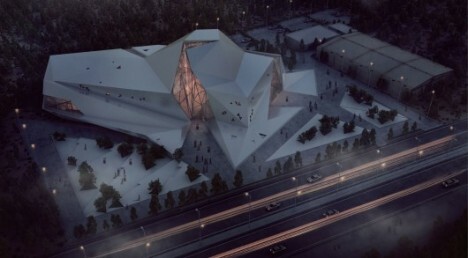 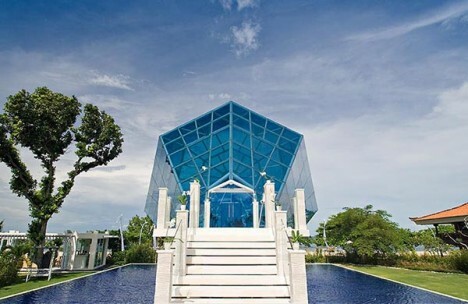 Architects hoping their creations will be described as ‘gems’ could take the literal route and design faceted structures that call to mind diamonds, geodes and other precious stones. 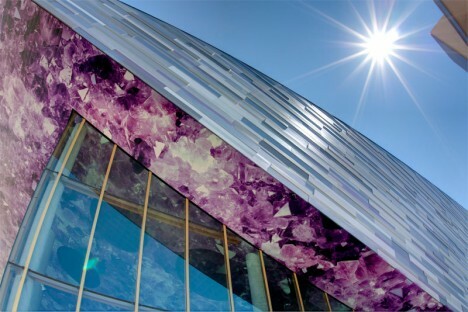 Made of glass or mirrored stainless steel, the geometric panels shimmer in the sunlight and give off their own glow after dark. 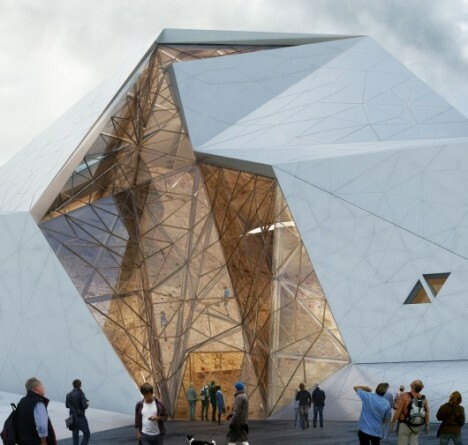 A jagged stretch of glass slices up the boulder-like walls of this climbing gym in Iran, mimicking the look of crystals poking out of a geode. 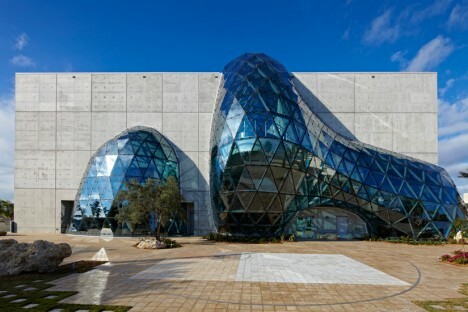 The design, by New Wave Architecture, was inspired by the geological process of large-scale movements of the earth’s crust and tectonic forces. 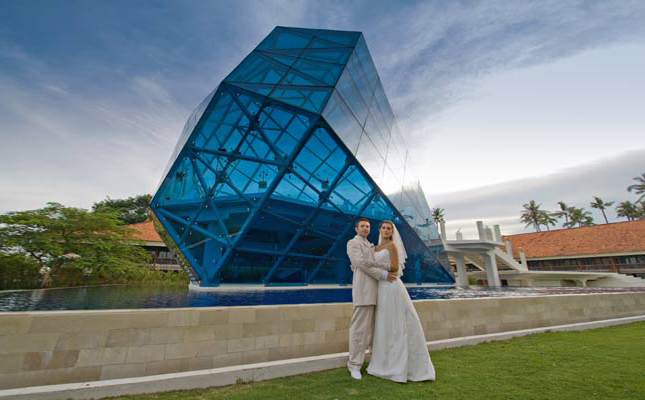 A massive blue diamond tipped on its side sits in a clear pool of water at Sanur’s Grand Bali Beach Hotel, serving as a dramatic and highly photogenic wedding chapel. 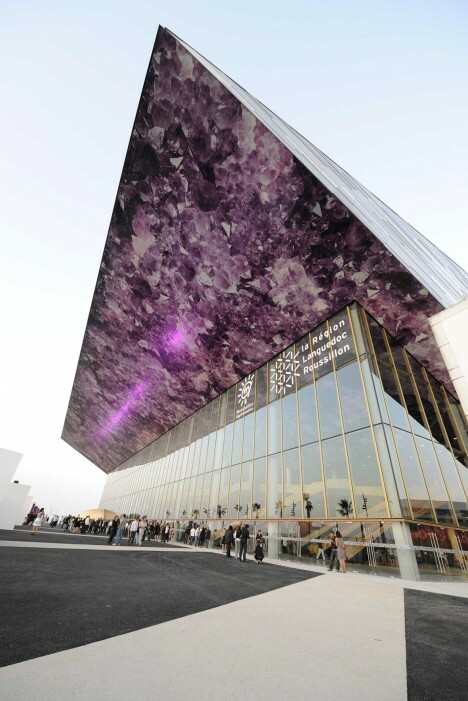 French architecture firm A+ Architecture gave the Park & Suites Arena in Montpelier a highly unusual look with an amethyst gemstone design on its steel cladding. 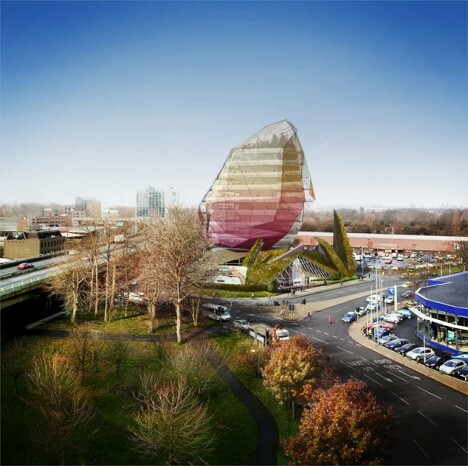 Make Architects call the Octopus, a proposal for London’s western gateway, “part building, part sculpture.” Sitting beside a derelict site next to a busy intersection, the building features a metallic, semi-transparent shroud that acts as a solar shade as well as a screen for high-resolution LED displays showing advertising. 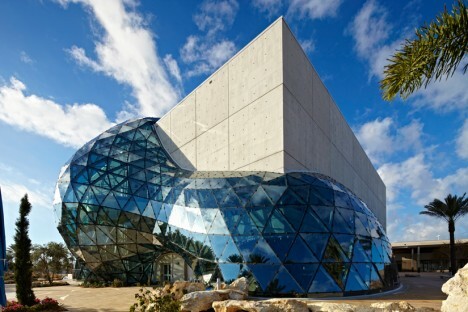 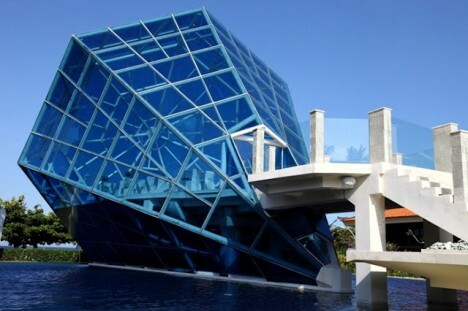 Designed by Yann Weymouth, who helped create the Louvre Museum’s famous glass pyramid, the $36 million Salvador Dali Museum in St. Petersburg, Florida boats an undulating geodesic wave comprised of over 1,000 glass triangles that contrasts with extra-thick concrete walls.